What is a West Virginia Non-Disclosure Agreement? West Virginia Non-Disclosure Agreement: What Is It? 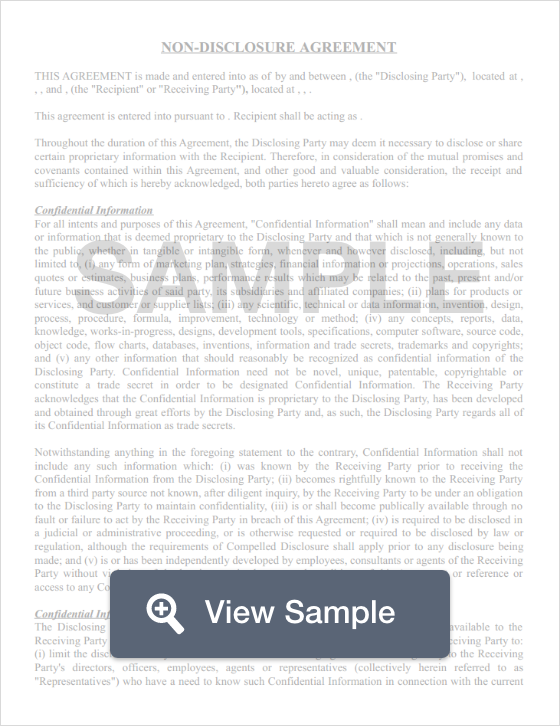 A West Virginia non-disclosure agreement is a legal contract between a business and its employee or contractor. The goal of a West Virginia non-disclosure agreement is to bind the employee or contractor to secrecy regarding certain business information. West Virginia uses the Uniform Trade Secrets Act, WV Code §§ 47-22-1 through 47-22-10 (2002 through Reg Sess), to govern the creation and use of non-disclosure agreements. Since the purpose of a West Virginia non-disclosure agreement is to secure the privacy of certain business information, it’s important to define how that information is addressed by the West Virginia Uniform Trade Secrets Act. Confidential business information is referred to as a “trade secret” under the West Virginia Uniform Trade Secrets Act. This law defines a “trade secret” as information that includes but isn’t limited to a formula, a pattern, compilation of data, a program, a device, a method, a technique, or process with its own actual or potential economic value. This value is created because the information isn’t something that the public or another business could, in essence, discover and use for their own financial gain. The business that wishes to protect the information as a trade secret must take reasonable precautions to keep that information private. The West Virginia Uniform Trade Secrets Act also explains the statute of limitations as well as what businesses must do to preserve the secrecy of the information. Protecting the secrets of a business is important. It’s important that a business take every necessary step to protect their interests. In addition to a well-written NDA, a business should also use a well-written West Virginia noncompete agreement.